I appreciate the effort that goes into creating a pure CSS3/HTML5 demo, but unfortunately many beginners consider these demos as representation of the best practices in Web Development (many aren’t). 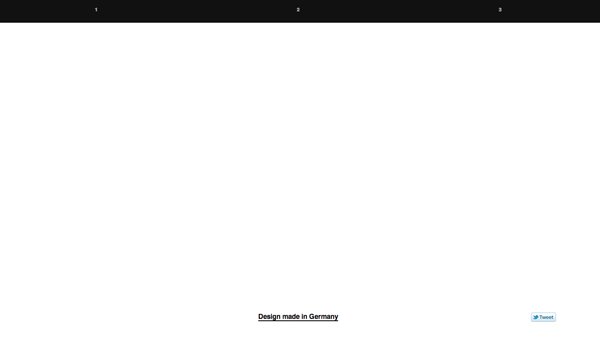 Here is one that got my goat today: A Pure CSS3 Slideshow. Uses a table for navigation when the semantic nav element (or a simple list) would do. I added a parent div element for all the pages so we just need to animate that element and not each of the 3 page elements. There, now we have a neat little slideshow, that doesn’t degrade too badly on browsers that do not support the target element (accessible via the horizontal scrollbar for IE6, 7). If there are ways to improve this, please fork the fiddle and link in the comments! This post was posted by Divya Manian on Feb 17 2011 in Web Development . If you would like to update this post, please send a pull request.